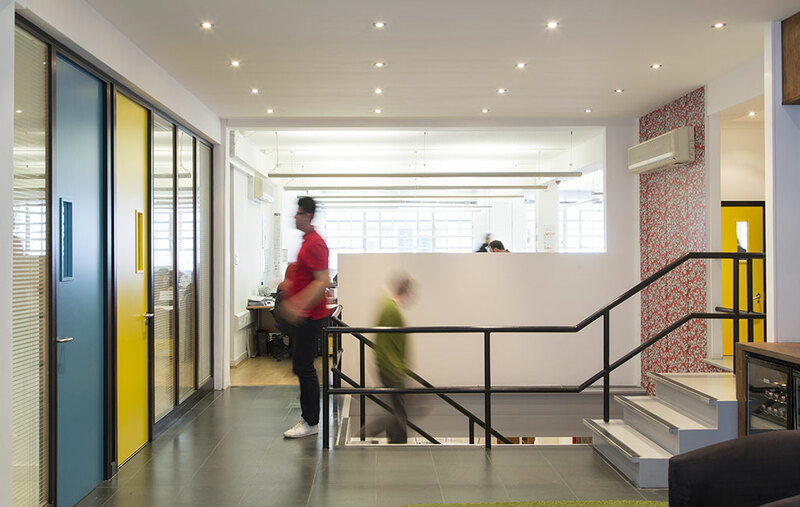 The marketing agency approached XUL with a brief to fully refurbish their 535sqm two-storey office in central London to reflect the modernised operation of their marketing practice. The works included a full strip out of the ground floor and basement and a complete design approach down to the specification of furniture and joinery details. Works had to be completed with minimal disruption to the daily running of the office. The reception and social areas are strategically placed at the heart of the building just off the central circulation spaces. The design encourages movement and therefore increases the opportunity for people to bump into each other and engage in conversation. Seba and his team were tremendous. Highly creative, original, but practically minded, they were extremely professional in managing the whole process. They combined an instinctive understanding of what made our space function, with a brilliant and unexpected twist on convention. They are highly organised and great fun to work with. The finished result was a triumph of innovation, taste and style brilliantly brought in on budget.